Sunbridge Institute recognizes the importance of protecting your privacy. This policy is designed to assist you in understanding how Sunbridge collects, uses, and safeguards the personal information you provide. This policy will be continuously assessed against new technologies, business practices, and our users’ needs. Sunbridge only has access to information that you voluntarily provide via email or other direct contact. When you visit this website you may provide us with two types of information: personal information you knowingly choose to disclose that is collected on an individual basis and information collected on an aggregate basis as you and others browse this website. 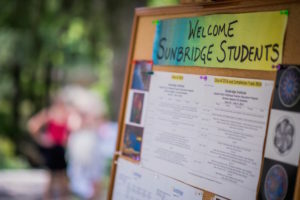 When you register for any of Sunbridge’s courses or submit an inquiry form, you provide Sunbridge information about yourself. In certain instances, you may provide personal information and authorization to obtain information from various credit services. If you choose to correspond through email, Sunbridge may retain the content of your email messages together with your email address. Sunbridge provides the same protections for these electronic communications that it employs in the maintenance of information received by mail and telephone. A cookie is a very small text document which often includes an anonymous unique identifier. Each time you visit a website, information is stored relating to that visit. Similar to other commercial websites, Sunbridge’s site utilizes cookies and web server log files to collect information about how this website is used. Information gathered through cookies and web server logs may include the date and time of visits, the pages viewed, time spent at the website, and the websites visited just before and just after you visited this website. How Does Sunbridge Use the Information That You Provide? 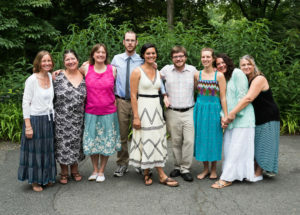 Broadly speaking, Sunbridge uses personal information for purposes of: administering its activities; providing the products and services you requested; processing your payment; monitoring the use of Sunbridge’s services; and improving Sunbridge’s marketing and promotional efforts (including this website’s content and offerings). Sunbridge will only use your information to respond to you, regarding the reason you contacted it. Sunbridge takes precautions to protect your information. When you submit sensitive information via the website, your information is protected both online and offline. The information gathered may be shared with others on an aggregate basis. Personally identifiable information or business information will not be shared with anybody except as required by law. How Does Sunbridge Use Information Collected from Cookies? Your IP address is a number that is used by computers on the network to identify your computer every time you are connected to the internet. IP addresses are automatically collected by Sunbridge’s web server as part of demographic and profile data known as traffic data so that data can be sent to you. Sunbridge does not share, sell, lend, or lease any of the information that uniquely identifies a subscriber (such as email addresses or personal details) with anyone except to the extent it is necessary to process transactions or provide services that you have requested. You may request access to all your personally identifiable information that Sunbridge has collected online and maintains in our database by emailing us at the usual address. Sunbridge may disclose information when legally compelled to do so. Sunbridge may also disclose account information when it has reason to believe that disclosing this information is necessary to identify, contact, or bring legal action against someone who may be violating Sunbridge’s Terms of Service or to protect the safety of other users and the public. Sunbridge is not responsible for the practices employed by websites linked to or from this website or the information or content contained therein. Often links to other websites are provided solely as pointers to information on topics that may be useful to the users of Sunbridge’s website. Please note that your information will be stored and processed on Sunbridge’s computers in the United States. The laws on holding personal data in the United States may be less stringent than the laws of your country of residence or citizenship. To prevent unauthorized access, maintain data accuracy, and ensure the correct use of information, Sunbridge has put in place appropriate physical, electronic, and managerial procedures to safeguard and secure the information collected online.